The announcement by the Presidency that an additional date of 03 November 2015 has been submitted to the Office of the Speaker, is a victory for accountability, Parliament, the Opposition and the people of South Africa. Earlier this year, I called for at least five dates on which President Jacob Zuma would fulfill his parliamentary responsibility of accounting to the National Assembly in terms of rule 111. 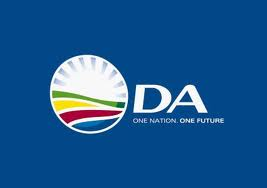 The Democratic Alliance therefore welcomes this concession by the Presidency. President Zuma can no longer evade accountability due to the consistent work by the Democratic Alliance. His modus operandi of ducking-and-diving when called to account is coming to an end. Going forward in the fight for accountability, we are awaiting the review of the judgment, in the Western Cape High Court, in the Hlaudi Motsoeneng case, which deals in part with the enforceability of the of Public Protector’s remedial action, which we will apply to the Nkandla matter. On 16 March 2015 our application to reinstate the 783 counts of fraud, corruption, and racketeering against the President continues in the North Gauteng High Court. Even before taking office, President Zuma has moved from scandal to scandal with a general disregard for the rule of law. The President has shown the highest level of disdain for mechanisms and institutions of accountability, we will therefore make this point when the House sits to debate the motion of no confidence in the President that I tabled a few weeks ago. We have won this battle for accountability, but there is still a long and hard war ahead, which we are prepared for. Throughout our campaign, the Democratic Alliance has shown that using institutions instead of breaking them down is the best way to build democracy and bring about accountability.